Mesenchymal stem cells have a great potential for application in cell based therapies, such as tissue engineering. Adipose derived stem cells have shown the capacity to differentiate into several lineages, and have been isolated in many animal species. Dog is a very relevant animal model to study several human diseases and simultaneously an important subject in veterinary medicine. 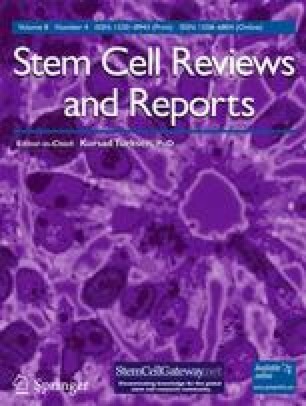 Thus, in this study we assessed the potential of canine adipose tissue derived stem cells (cASCs) to differentiate into the osteogenic and chondrogenic lineages by performing specific histological stainings, and studied the cell passaging effect on the cASCs stemness and osteogenic potential. We also evaluated the effect of the anatomical origin of the adipose tissue, namely from abdominal subcutaneous layer and from greater omentum. The stemness and osteogenic differentiation was followed by real time RT-PCR analysis of typical markers of mesenchymal stem cells (MSCs) and osteoblasts. The results obtained revealed that cASCs exhibit a progressively decreased expression of the MSCs markers along passages and also a decreased osteogenic differentiation potential. In the author’s knowledge, this work presents the first data about the MSCs markers profile and osteogenic potential of cASCs along cellular expansion. Moreover, the obtained data showed that the anatomical origin of the adipose tissue has an evident effect in the differentiation potential of the ASCs. Due to the observed resemblances with the human ASCs, we conclude that canine ASCs can be used as a model cells in tissue engineering research envisioning human applications. Authors acknowledge the support from the Portuguese Foundation for Science and Technology (FCT) project (ref. MIT/ECE/0047/2009) and for João Filipe Requicha PhD scholarship (SFRH/BD/44143/2008).